John Mackay passed away on October 28, 2014. Ross first came to the Department of Geology and Geography at UBC in 1949, and continued to teach following his retirement from the Department of Geography in 1980. Ross was widely recognized as the world’s leading authority on permafrost. Born on the last day of 1915 in Formosa, Taiwan, Ross was the son and grandson of Canadian missionaries; he commanded an intelligence unit in Darwin, Australia, during World War II, after completing his BA’39 and MA’41 at Clark University and Boston University respectively. Appointed an assistant professor at McGill in 1946, he completed his PhD at the University of Montreal in 1949, before joining the fledgling UBC Geography Department. In 1951 he began fieldwork in the western Arctic, an area then little known to science, interpreting aerial photographs and investigating periglacial features. This work evolved through the next half century – Ross conducted fieldwork in the Arctic almost every year until 2004 – but remained focused on the development of ice-wedge polygons, pingos, ground ice and other aspects of periglacial geomorphology. Ross published over 200 scholarly works, more than 150 of which are single authored and more than half of which are in refereed journals. Fifty of the papers were published in Ross’s post-“retirement” years. Ross was president of the Canadian Association of Geographers (1953-54) and the Association of American Geographers (1969-70), and was secretary-general of the International Permafrost Association for a decade after 1983. 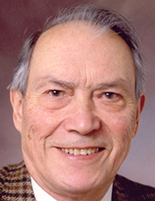 He was elected a Fellow of the Royal Society of Canada, appointed an Officer of the Order of Canada, and received the Massey, Miller, Logan and Vega medals. Ross also received five honorary degrees. His commitment to scholarship was truly impressive, and he is remembered with fondness and respect.